Peter Liese, a key member of the European Parliament from Germany, who has led Europe’s efforts to curb aviation CO2 emissions, has urged Barack Obama to live up to his sweeping promises to act on climate change, and help advance stalled negotiations for a global aviation deal. 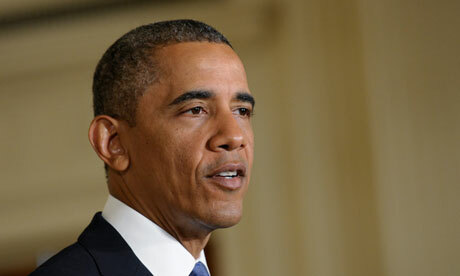 He said Obama must act fast to avoid a trade war over the battle caused by the EU ETS (Emissions Trading System) . Liese, speaking after meetings with administration officials in Washington this week, said he feared efforts to reach a global deal on aviation carbon had stalled. He thought there was a 50% chance that the ICAO talks would fail to produce a deal by its early September meetings, triggering a transatlantic trade and diplomatic crisis. “For me and I think for the European parliament this is a test case: how serious is Obama on climate change? Is it only a speech, or is it serious? ” Liese said. He said he was disappointed with the state department’s position in the aviation talks, saying it lagged behind Obama’s sweeping climate change speech last month. Amidst modest signs of progress toward a global deal to cut carbon dioxide emissions from airplanes to address climate change, MEPs travelled to Washington this week urging the US to be more ambitious. A delegation of seven deputies led by rapporteur Peter Liese (EPP, Germany) met top US trade, aviation, environment, and diplomatic officials, as all eyes turn to the International Civil Aviation Organisation (ICAO) in Montreal, Canada, which has its Assembly from 24 September to 5 October. Speaking to Europolitics at the end of his trip, Liese said “we have a new dynamic” in Washington with President Barack Obama’s recent announcement of bold administrative steps on climate change but “we are not there yet” for aviation. LIMIT ETS TO EU AIRSPACE? While the US sees itself as something of a broker in bridging the EU’s ambitious goals with more reluctant nations, Liese said that Washington continues to move “too slowly”. In particular, he felt that the US should push harder at ICAO to pass a resolution giving a clear commitment to agree a global “market-based mechanism” (ie some kind of cap and trade) by 2016. He insisted that the current wording in the draft ICAO resolution is far too weak, as it only commits the 191 member countries to “discuss” the issue again in 2016. Just as sensitive – and a more immediate concern – is whether the ICAO will give the green light for the EU Emissions Trading System (ETS) to be extended to intercontinental flights before the global system is set up. Washington is touting a “compromise” to limit the EU ETS to the parts of flights that are over EU airspace. But Liese said this would not be enough as “it’s not a concession to be allowed to regulate your own airspace”. He stressed that a more EU-friendly compromise was needed if MEPs were to agree to further delay in applying the ETS to aviation. One possible compromise, he said, would be to let the EU ETS apply to EU and international airspace – but not US airspace to assuage American sensitivities over sovereignty violations. The international community has struggled with aviation emissions for the past 20 years. Firstly, after failing to include it in the UN Framework Convention on Climate Change, they left it to the ICAO, another UN agency, to resolve. Frustrated by years of scant progress at the ICAO, the EU decided unilaterally, in 2008, to apply its ETS to aviation from 2012. This created uproar among other major economies like China, India, Russia and the US. In November 2012, President Obama signed a bill allowing his administration to bar US airlines from participating in the ETS. In response, the EU agreed, in March 2013, to suspend rollout of the ETS to aviation until after the ICAO’s September-October 2013 Assembly. The ICAO Assembly is held only once every three years. Should ICAO fail to strike a deal in September, the EU intends to revoke its “stop-the-clock” decision and start applying ETS to flights entering and exiting the EU from May 2014. Diplomatic talks on a deal to curb greenhouse gas emissions from the global aviation industry have intensified recently as EU and US officials try to stave off the threat of a trade war, lawmakers and observers said. Should the UN organisation fail, the EU could try to re-impose an emissions trading system on global airlines. The EU postponed the implementation of the law in 2012 to give the ICAO time to devise a global approach. Liese sees only a 50% chance the ICAO talks can deliver a deal strong enough to avoid a revival of the law and avoid threats of a trade war. “Unless we have progress in the next six to seven weeks, we will run into a big problem,” Liese told Reuters. Liese said drafts of the resolution that ICAO assembly delegates will consider at their triennial meeting, which starts in Montréal on 24 September, might not be not ambitious enough to pass muster. “We made very clear that what is on the table now is not enough,” Liese said. The following month, the International Air Transport Association (IATA), set up to help the UN harmonise aviation after the second world war, backed a system in which airlines would offset increased emissions after 2020 by buying carbon credits from projects that cut them in other sectors. A wider coalition of aviation groups endorsed the plan in recent weeks. The agreement, she said, will not be a detailed framework, but “a glide path toward a single market-based measure by 2016,” the year the next ICAO assembly takes place. The ICAO’s 36-member leadership council is scheduled to meet on 4 September. Meetings between countries with similar views on the issue also have been taking place. For example, China and India, which along with the United States strongly opposed the imposition of the European trading scheme on their airlines, are likely meeting ahead of the assembly to coordinate objections to the ICAO’s proposed resolution. Liese said US and EU officials might also have to consider a potential bilateral agreement if the ICAO fails to agree on a deal that would stave off the threat of a trade war. But Jos Delbeke, director-general for climate action for the European Commission, was optimistic and said he was confident a useful resolution is going to be adopted in September or October. Posted: Friday, July 19th, 2013. Filed in Climate Change News, Recent News.